What Would I Tell Every Athletic Trainer About XLNTbrain? 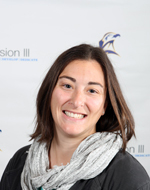 Managing concussions has been drastically transformed in just the last five years, according to Stephanie Guzzo, assistant athletic trainer at St. Mary’s College in Maryland. With 17 varsity sports, as well as club sports like Rugby and Ultimate Frisbee, and more than 350 athletes, Guzzo is on the front line of administering baseline tests, helping with diagnosis, and responsible for providing recovery care and clearing athletes for return to gameplay. Without XLNTbrain, Guzzo said concussion management typically only involved a baseline test called Impact, that doesn’t measure emotional scores or include any real-time reporting or recovery assistance from one of the world’s leading cognitive neurologists, Dr. Harry Kerasidis. A few years ago, Dr. Harry Kerasidis approached Stephanie and the athletic training staff at St. Mary’s with XLNTbrain Sport which is an alternative, more advanced approach to baseline testing and managing concussion care. Guzzo said she likes XLNTbrain is provided via the Internet. “You can send out an email invite, so everyone on the team is in a room. Put in a code. Watch the video and take the test. It’s nice because you can get everyone tested at once.” She added that even for the stragglers who miss the classroom, they can take it on their own and then training staff can verify if and when they took the baseline test. What would you say to all the athletic trainers out there about XLNTbrain?